A common problem in any store, whether a convenience store or a huge mall, is shoplifting. This is not a crime that only professionals do as these days, many kids in their teens or even younger have been known to shoplift. Amateur and professional shoplifters aren’t just a security problem, they are problems that many shop owners try to stop or discourage. Still, shoplifting is a common occurrence, which also burdens the courts. Who shoplifts? Anyone can participate in this illegal act. But most amateur shoplifters often refrain from making this a regular habit and most of them are easily rehabilitated. On the other hand, professional and habitual shoplifters are more difficult to rehabilitate and they may persist on with their activities until they are stopped. What items do shoplifters often take? Shoplifters usually take clothes, and other small items that are easy to conceal, such as drugs or medicine, razors, or phones. Many will also take expensive items that can be readily sold again, such as baby formula, laptops, and even food items, like meat and cheese. How do shoplifters take items? Items can be placed in bags, backpacks, purses or boxes. Smaller things are placed in pockets or taken by hand. Clothes are worn in plain sight or maybe hidden under coats or baggy clothes. Why do people shoplift? There are varied reasons why people shoplift. Sometimes, it’s because of need. Others shoplift because they enjoy the thrill that comes with it. There are also people who cannot stop themselves, like the kleptomaniacs and the shoplifting addicts. 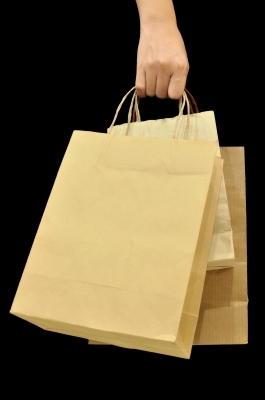 Many telltale signs can indicate that a person is getting ready to shoplift. Here are some signs. – A person who carries a seemingly empty bag, big purse, plastic grocery bag or backpack may require security to be more wary. – One way that clothing is taken is by wearing them underneath clothes. So, when a person seems to take a lot of clothes for fitting and gets out of the fitting room with fewer or no items on hand, then he may have wrapped the clothes around his body or concealed these under his clothes or jacket. It is also important to watch out for individuals who wear ill-fitting clothes or clothes that are inappropriate for the weather, such as those wearing jackets when it’s hot outside. – An individual who does not seem to have an idea about what he’s looking for inside a boutique or store may be a shoplifter looking for an opportunity to shoplift. – Some shoplifters use distraction. Thus, storekeepers must be on guard when they sense that a person is trying to distract them with idle talk. – Group theft is also quite common. Store workers should be suspicious when a group comes in and causes a distraction as this will allow other members of the group to take items. This is often done by juveniles. – When a person walks in a store in a normal manner and walks out with difficulty, she might be hiding something between her legs that impaired her walk. These types of shoplifters will usually wear full or pleated skirts to hide stolen merchandise. Claire Duvall is a freelance writer who often writes about criminal cases, as well as cases involving personal injury. Duvall also blogs for many respected law firms and websites, including ElliotSavitzLaw.com.